A main tip I’d give to anyone asking about high school or collage appropriate outfits is to keep it simple. 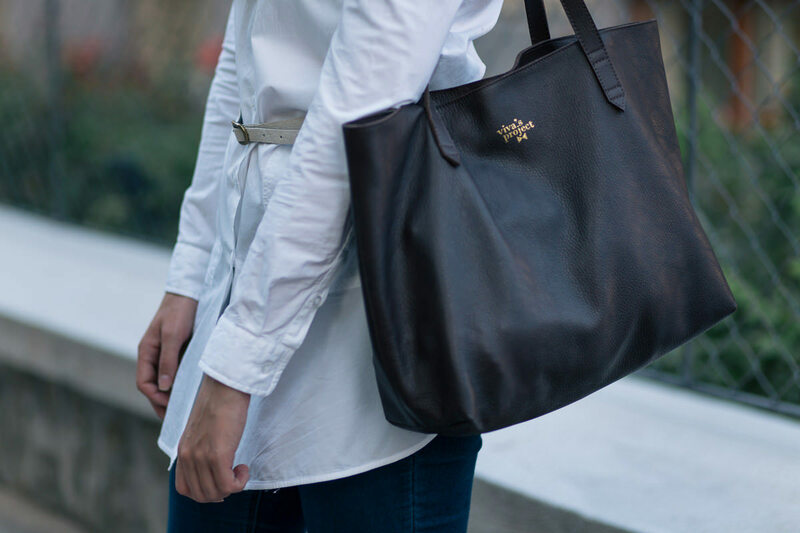 Find basic pieces you can match together, invest in a few timeless ones, you will be able to wear all year round. The first thing you should consider buying are skinny jeans. 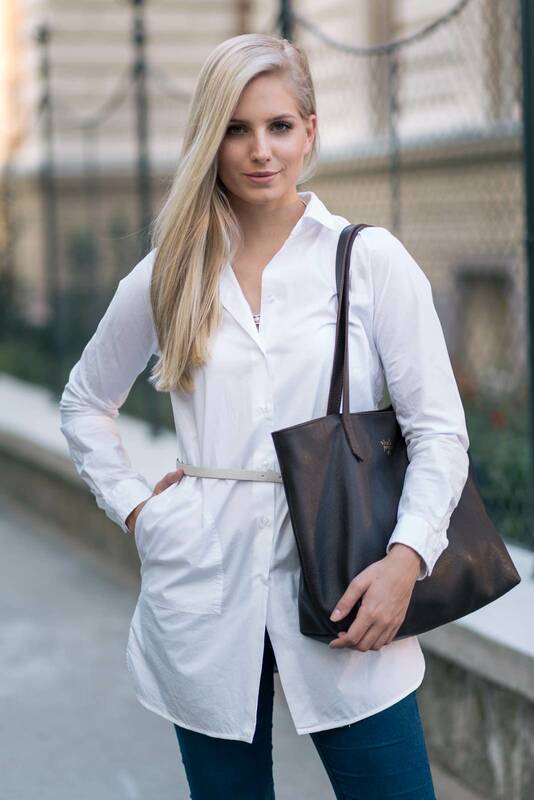 They fit most body types and are extremely easy to combine – you can either dress it down with a basic T-shirt or go for a preppy white button-down shirt to ooze the scholastic chic. 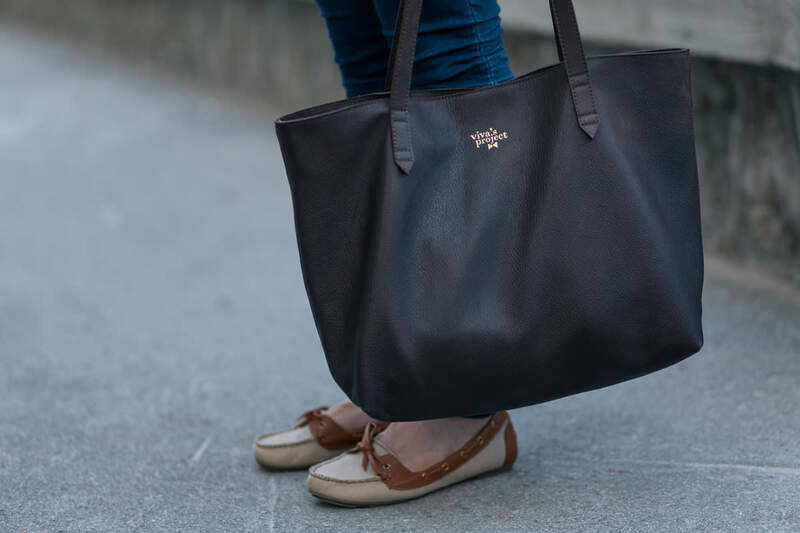 When it comes to handbags, I’d highly suggest you go for a simple, high-quality one (make sure it’s big enough so you can carry all the stuff you need). 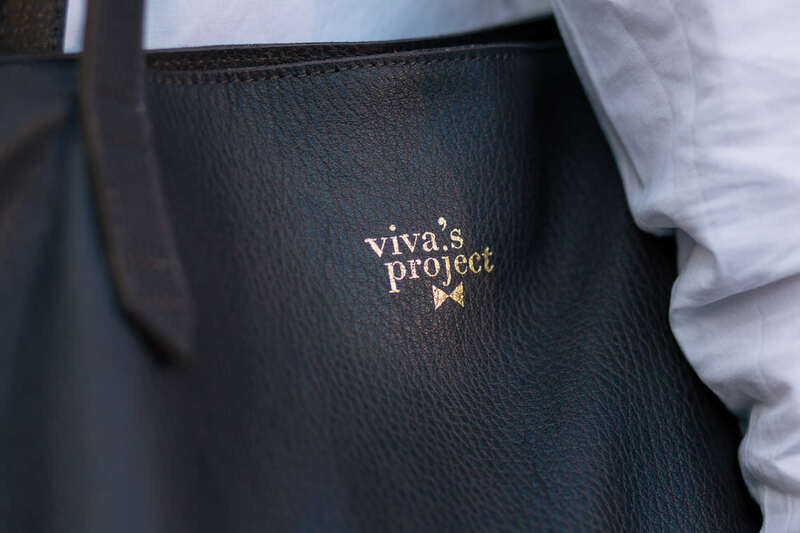 Viva’s Project tote is a fashionable piece worth investing in and it will be my main companion this year for sure. I’ve rounded up my tips in an outfit you can see on the photos, I hope you like it!